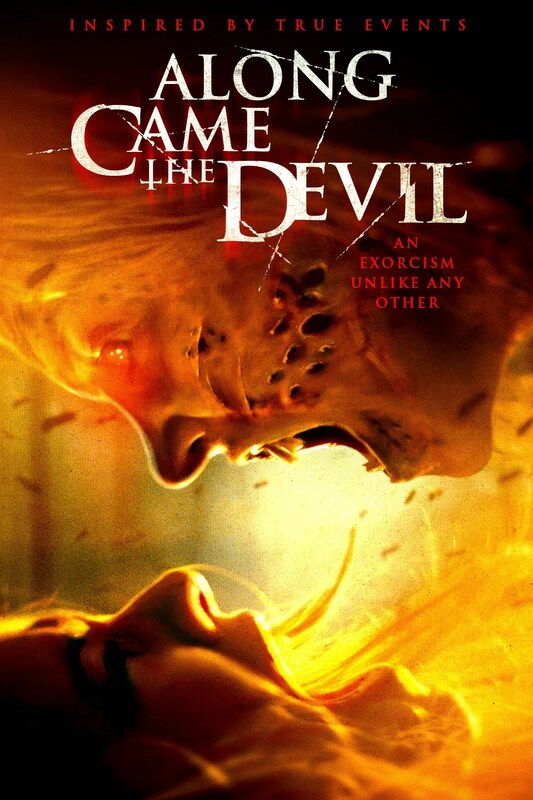 Today, we’re happy to debut an exclusive new trailer for Along Came the Devil, the latest horror original to try its hand at the classic terrors of satanic possession. Previously titled “Tell Me Your Name,” the film follows a troubled teen named Ashley, who can’t seem to cope with her mother’s death and is sent to live with her estranged aunt Tanya when her older sister heads off to college. Back in her mom’s old hometown, Ashley can’t escape the sense that something is terribly wrong and visions of her deceased mother drive her to a dangerous seance that threatens her very soul. Inspired by true events, Along Came the Devil stars Sydney Sweeney (The Handmaid’s Tale), Jessica Barth (Ted), Matt Dallas (Kyle XY), Madison Lintz (The Walking Dead), Heather DeVan (The Girl) and Bruce Davison (X-Men). Directed by Jason DeVan (Broken Souls), who co-wrote the script with Heather DeVan and Dylan Matlock (Comedy Central’s Review). Along Came the Devil promises an “exorcism movie for a new generation.” Gravitas Ventures will release the film in theaters, On Demand and Digital HD on August 10, 2018. Watch the trailer below. And here’s the official poster via BloodyDisgusting.